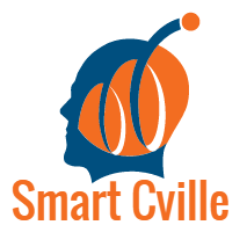 Over the past three years, our Charlottesville-based non-profit, Smart Cville, has partnered with staff across numerous local municipalities and organizations to increase and improve the use of data in local decision making, community improvement, and civic innovation. Personally, I’ve also sat on the City’s Open Data Advisory Group and JAUNT, one of the most data-driven public institutions in the region. As such, and as a citizen of Charlottesville, I’ve been closely following the initial iteration of the City of Charlottesville Police Civilian Review Board (CRB) and its quest to gather data, write bylaws, and research review board best practices and wanted to share some thoughts about its progress. The lasting legacy of the initial CRB will be the development of bylaws that will govern future boards. The quality and strength of bylaws enacted will have lasting ramifications on the strength, independence, and scope of all future iterations of the CRB. This is the paramount responsibility of this current CRB. It is imperative that the initial CRB focus on empowering itself with bylaws as its first priority. With so many practical issues to tackle, focusing at this 30,000 foot view will be a challenging, yet critical, strategy. The CRB bylaws should grant access to timely, complete, and machine-readable data related to its focus areas. The CRB should be privy to the inner-workings of the Charlottesville Police Department (CPD) data system, set-up, and challenges. It should have a voice in recommending related policy changes. Council should hold one seat on the board for a data professional–there are currently none. Since data seems to be a critical lens for the CRB, they would benefit immensely from a data professional board member. The CRB should not be too specific or too prescriptive in its bylaws regarding the data to which it should be entitled. Narrow, specific descriptions could actually limit the CRB’s power moving forward if the board’s data needs evolve or shift. The CRB should not insist on becoming a data receiver without being a willing contributor to the data collection, data wrangling and data organization processes. (Note: requires a willing co-collaborator in the CPD). Given my organization’s attempts at obtaining data over the past three years, I have acute empathy for the CRB and its efforts to get complete, cleaned datasets from the City. However, I also worry that its focus on quickly obtaining large amounts of historical data has distracted from its more important goal of becoming empowered as a formal board through Council-approved bylaws. That said, I also recognize that the CRB’s work has extended well past the request for data from the CPD. They’ve spent countless hours researching other models and developing relationships in other jurisdictions. We should not forget that the breadth of their work goes well beyond this one issue. I would love to see a spirit of collaboration–from both sides–around resolving existing issues that make data reporting challenging. So far, the continual refrains of what “cannot be done” and what “must be turned over” have drowned out other data-related considerations. CPD is not alone in having faced some of these challenges. Other cities have faced these challenges of data entry points, systems, cleanliness, and transparency as noted in this great article on the Sunlight Foundation blog. As this article implies, the road to open police data has been a circuitous one for cities and experiences have varied, just look at the different experiences of Chicago and New York. Many challenges stem from the initial data collection stage. Take a look at the NYC contact card from that article above and note how its format strengthens data from the point of collection and thereby downstream. There is no quick fix here, however, many police departments that have successfully tackled their data issues have leaned heavily on collaboration with various entities within civil society. We should be doing the same. I appreciate the time that you have extended working on behalf of our community. 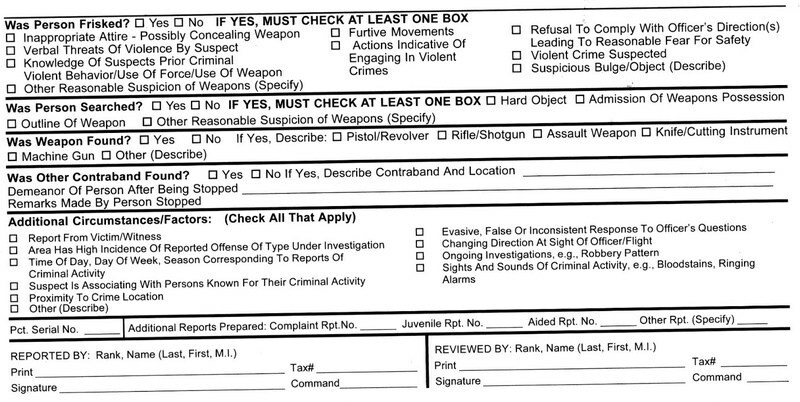 This entry was posted in Open Data, Politics and tagged crb, police data, review board. Bookmark the permalink. ← What Does a Localized Blue Wave Tell Us About 2019 Local Elections?